No prep! 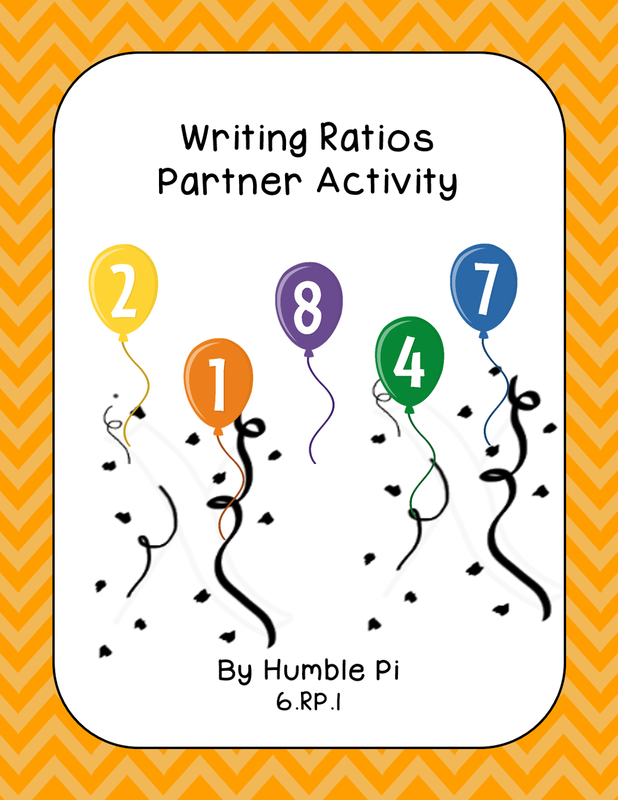 In this fun partner activity, students each complete ten ratio problems and match their answers to discover how to color the balloons. The coloring makes this activity super easy to check for accuracy, too. Aligned to CCSS 6.RP.1, but great for 7th and 8th grade review, too. Answer key included.